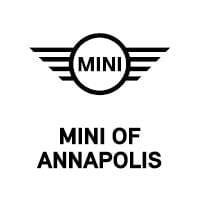 Contact BMW of Annapolis today for information on dozens of vehicles like this 2019 MINI Hardtop 2 Door Cooper. This MINI includes: ANTHRACITE HEADLINER TRANSMISSION: 6-SPEED AUTOMATIC W/STEPTRONIC Transmission w/Dual Shift Mode A/T 6-Speed A/T HEATED FRONT SEATS Heated Front Seat(s) WHEELS: 17 Tires - Front Performance Aluminum Wheels Tires - Rear Performance *Note - For third party subscriptions or services, please contact the dealer for more information. * Why spend more money than you have to? This MINI Hardtop 2 Door will help you keep the extra money you'd normally spend on gas. This vehicle won't last long, take it home today. This is about the time when you're saying it is too good to be true, and let us be the one's to tell you, it is absolutely true. We look forward to seeing you soon! Please call us for more information. This 2019 MINI Hardtop 2 Door Cooper S is proudly offered by BMW of Annapolis This MINI includes: ROOF RAILS UNIVERSAL GARAGE-DOOR OPENER Universal Garage Door Opener WHITE BONNET STRIPES ICONIC TRIM Fog Lamps Keyless Start Transmission w/Dual Shift Mode Smart Device Integration Tires - Front All-Season HD Radio Tires - Front Performance Navigation System A/C Climate Control Leather Steering Wheel Daytime Running Lights Adaptive Cruise Control Generic Sun/Moonroof Satellite Radio Power Door Locks Keyless Entry Tires - Rear Performance Heads-Up Display Sun/Moonroof A/T Premium Sound System Power Folding Mirrors Hard Disk Drive Media Storage 6-Speed A/T MP3 Player Dual Moonroof Tires - Rear All-Season Headlights-Auto-Leveling *Note - For third party subscriptions or services, please contact the dealer for more information. * Start enjoying more time in your new ride and less time at the gas station with this 2019 MINI Hardtop 2 Door. The MINI Hardtop 2 Door Cooper S will provide you with everything you have always wanted in a car -- Quality, Reliability, and Character. This is about the time when you're saying it is too good to be true, and let us be the one's to tell you, it is absolutely true. We look forward to seeing you soon! Please call us for more information. Contact BMW of Annapolis today for information on dozens of vehicles like this 2019 MINI Hardtop 2 Door Cooper S. This MINI includes: STORAGE PACKAGE SIGNATURE LINE PACKAGE Keyless Start Transmission w/Dual Shift Mode Tires - Front All-Season Tires - Front Performance Aluminum Wheels A/C Climate Control Leather Steering Wheel Adaptive Cruise Control Generic Sun/Moonroof Power Door Locks Keyless Entry Tires - Rear Performance Sun/Moonroof A/T 6-Speed A/T Dual Moonroof Tires - Rear All-Season SIRIUSXM SATELLITE RADIO HD Radio Satellite Radio *Note - For third party subscriptions or services, please contact the dealer for more information. * Stylish and fuel efficient. It's the perfect vehicle for keeping your fuel costs down and your driving enjoying up. The look is unmistakably MINI, the smooth contours and cutting-edge technology of this MINI Hardtop 2 Door Cooper S will definitely turn heads. Just what you've been looking for. With quality in mind, this vehicle is the perfect addition to take home. We look forward to seeing you soon! Please call us for more information.